The LittleBigPlanet 3 Soundtrack features the original music composed for the latest installment of Sony’s platforming series. 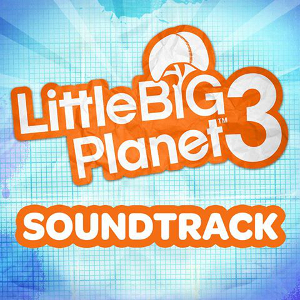 While the best known music of LittleBigPlanet series are from Daniel Pemberton, whose compositions for the game are the only ones that were released digitally before LittleBigPlanet 3, the soundtrack for the third iteration of the popular platformer game series would feature the work of 12 other composers. 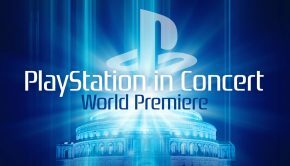 While some of these composers have worked on the previous titles in the LittleBigPlanet series, notably Winifred Phillips, this is the first time that their music for the game would be released independently. So how would it be like to experience these pieces without the charming visual of Sackboy’s handcrafted adventure? Before delving into the review, I would like to introduce to you the concept of the vertical layering music system, which had been employed in all of the LittleBigPlanet games. Winifred Phillips, one of the game’s composers, gave a talk on this subject at the Game Developers Conference 2015. The vertical layering system was conceived by the audio team at Media Molecule and all interactive tracks (non-cinematic tracks) in LBP games were required to be arranged according to this system. In a vertical layering music system, the composition is separated into multiple layers and each layer is recorded separately. These layers will form the full mix when played together but they can also be played separately or in different combinations. To put it in simpler term, it is akin to having an Oreo cookie in your hand, which consists of a layer of sweet cream and two layers of chocolate wafers. You have the options of eating all three layers together, each layer separately, or combine any of the two layers together; each option will result in a different gustatory experience. That is the same with a musical composition in vertical layering; how the layers are ‘consumed’ will result in a distinct auditory experience. I was fascinated by the vertical layering system and wondered how it would affect the arrangement of the music for the soundtrack. I wanted to know if the composers would feature different combinations of the layering tracks as per how the music would function in the game, so I emailed Ms. Phillips about my question. While she could not speak for other composers, for her contributions to the soundtrack, she “arranged the layers in different combinations throughout the track so that the listener could get a sense of all the combination possibilities and enjoy listening to the musical variety that creates”. 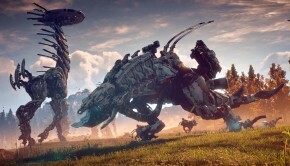 While not all the pieces in the soundtrack are layered, I believe you would be able to listen to the soundtrack from a different angle knowing how the music would function in the game and maybe even derive extra enjoyment from it. The soundtrack opens with “Introduction” by David Poore, a short and sweet cinematic track that accompanied the introduction movie which is played at the very beginning of the game. The track is made buoyant and ethereal by the resonating bells of which the main melody is played by, backed by some rhythmic clapping. Note that the opening movie of the game, of which this track is composed for, is also narrated by the magnetic voice of the wonderful Stephen Fry in a manner that is seemingly timed to the music. While the lack of Fry’s voice is in the track enable us to focus solely on the music, players who have listened to both the narration and the music simultaneously in-game would feel the experience incomplete if either one is missing. Next up, let us take a look at the compositions by Winifred Phillips, who contributed the highest number (three) of tracks to the soundtrack. “The Pod” is the menu music of LittleBigPlanet 3. The track starts out with just harp and chimes, joined later by some sci-fi synth, woodwinds, and celestial choir. Each prominent instrument can be considered a distinct layer and different combinations of the layers are featured throughout the track, as stated by Phillips in her email. The overall piece gives off an expansive and floaty vibe. “Stichem Manor” sets the tone for the haunted mansion (one of the stages in the game) in which the crazy crone, Nana Pud, resides in. The track begins with an air whistle, presumably to evoke the image of a steam train taking off, before introducing the shaker played in the rhythm of triplets continuously, as if to imitate the sound produced when train wheels travel along the railroad track. Eventually the violin would come in prominently playing the main motif of the piece. The track continues to build to a climactic point as the dynamic beats drive it forward before dying down to just the bell and shaker once again, ending the same way as it begins. The third track by Philips, “The Ziggurat Theme”, is easily the most striking piece in the entire soundtrack. In fact, the brilliant composition won Phillips the Hollywood Music in Media Award in November 2014 even before the official release of the soundtrack. The Ziggurat is a stage set in a winter wonderland with designs inspired by the Moscow Kremlin. “The Ziggurat Theme” is a choral piece composed in the form of classical fugue of the baroque tradition. The track is performed by an 18-voice women’s choir with instrumental backing from a harp as well as some world percussion instruments. Much to my surprise, all the 18 voices in the track were actually performed by Phillips herself, who was trained in classical singing. I am most impressed by the richness of the harmony and complexity of the counterpoints demonstrated in the composition. The exquisite arrangement and immaculate technicality showcased in the “The Ziggurat Theme” is a testament to Phillip’s versatility as a composer. Paul Thomson’s contributions to the soundtrack include themes for two characters, namely Newton and the Hero. Newton is an eccentric character with a light bulb as a head and an egg timer for a hat. The funky main motif of the “Newton’s Theme” is played in a squeaky synthesized sound, reflecting the wacky nature of Newton. However, most other instruments in the piece have a decidedly bassy sound, creating an apparent void between the main motif and the supporting accompaniment. The choice here seems to tie in appropriately with the hidden agenda of Newton beneath his surface quirkiness. The “Hero Theme”, presumably the theme of our endearing protagonist, Sackboy, or maybe his three heroic friends, is an exuberant and bombastic piece. Brasses and Percussions take the centre stage in this piece; the brasses carry the main motif while the percussions drive the track forward with unrelenting momentum. The result was a memorable heroic track worthy of its title. “Out of the Frying Pan” by Plaid is a techno piece with a four-chord progression. Plaid varies the combinations of the notes and juxtaposes minor and major chords throughout the piece to keep the track sounding fresh. The two tracks contributed by Emperor Machine, “Pinball of the Undead” and “Pinball of the Undead (Dub)” are also techno pieces. The two tracks are essentially the same composition but arranged with different layers. “Pinball of the Undead” features two motifs, but only the second motif, which consists of seven notes of the same pitch but split in two octaves, recurred in the dub version of the track. “Pinball of the Undead (Dub)” has a noticeably stronger bassline and utilizes more reverb effects in the new layers compared to the original track. Due to the repetitive nature of the aforementioned tracks, whether these tracks would appeal to you depend largely on your liking for techno music. The duo, Alexis Smith & Joe Henson, contributed the “Manglewood Theme” to the soundtrack. The track attempts to create the eerie atmosphere of a swamp with woodwinds played in high register with heavy vibrato, accompanied by timpani in a relaxed rhythm. “Steam Punk’d” by Ugress is the theme for the stage that took place inside a steam engine. It is a rapid track that moves forward with relentlessly in a mainly scalar progression, not unlike the busy and systematic inner working of a steam engine. These two tracks are able to paint the soundscape of their associated in-game stages with the right timbre. 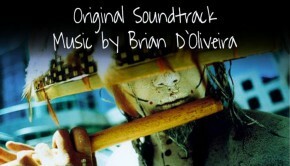 “Bunkum Laguna”, the theme for the Bunkum Lagoon stage composed by Brian D’Oliveira, is another highlight of the soundtrack. The stood out feature of the track is the sheer variety of the tone colors present in it. In fact, D’Oliveira is known for his affinity with using a plethora of instruments in his composition, evident in his critically acclaimed work for Papo and Yo and Tearaway. “Bunkum Laguna” sounds like a medieval European folk song with a Halloween twist. Listening to the piece is like witnessing a team made up of different instruments each with a unique tonal personality competing in a relay race, albeit a deliberately slow one proceeding in a hypnotic 3/4 waltz rhythm, but still manage to work in harmony with each other and emerge with victory in the end. And it is a well-deserved victory. Si Begg composed two tracks, “Popit Academy Term 1” and “Popit Academy Term 2” for the world-building tutorials in LBP 3. Unlike “Pinball of the Undead”, these two ambient electronica tracks are not an extension of one another, but two completely different compositions. “Term 1” has a mellow and leisurely atmosphere induced by the all major four-chord progressions throughout the piece. On the other hand, “Term 2” sounds more resolute and driven with the contrast of the minor and major chords in its three-chord progression, presumably to indicate the increased challenge of the advanced puzzles. “Swamp and Ceremony” by Jim Fowler is a brass-heavy piece set at a marching pace. It sounds like a track used to evoke the feeling of urgency. While it may serve its purpose well in game, it does not fare as well isolated from the visuals. Last but not least, we have two arranged tracks, “Waltz of the Flowers” by Chrome Canyon and “Secret Gardens” by Smooth McGroove. “Waltz of the Flowers” is an arrangement of the popular orchestral piece from the second act of The Nutcracker, a ballet composed by Tchaikovsky. The original composition is a much beloved classic that was also featured in the Disney animated classic, Fantasia. Melodically, the Chrome Canyon arrangement stays faithful to the original; what set it apart instead is the choice of instrumentation. Chrome Canyon abandons all of the orchestral instruments used by Tchaikovsky and imbues the classic melody with a new funky electronic dye. While this new arrangement did not break any new ground, it is nevertheless a fun arrangement that fits in well with the LBP universe. “Secret Gardens”, on the other hand is an arrangement of “The Gardens” from the original LittleBigPlanet, composed by Mat Clark and Kenneth Young. The original is a delightful piece with some folk and jazz elements as well as a brilliant flute melodic line. In a move similar to Chrome Canyon, Smooth McGroove replaces all the instruments used in the original with a chorus of digitized voice. The result is a pseudo-acapella piece which I imagine would sit comfortably in the repertoire of vocal ensembles such as “The King’s Singers”, except the arrangement is not composed for human voices, so even singers with superior techniques would have a hard time replicating the piece in a live setting. While the original track proved to be a more enjoyable experience with a diverse instrumentation, “Secret Gardens” is still an interesting take on the source material and a worthy arrangement on its own. LittleBigPlanet 3 Soundtrack is a small treasure-trove brimming with a multitude of interesting ideas executed in various stylistic choices, not unlike the wondrous worlds in LittleBigPlanet filled with creativity and imagination. 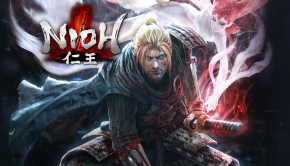 While there are certainly some tracks that stood out more than the others, the overall soundtrack is a solid effort from the team of 12 composers and it is fantastic that Sony were able to release the soundtrack digitally. The sheer diversity of the materials included in the soundtrack guarantees that there would be something for everyone regardless of one’s musical taste. Posted on April 14, 2015 by KT Wong. Last modified on April 15, 2015.